When it comes to web development and design, WordPress is dominating forums and discussions. And it does not just excel at providing interesting platforms for blogs, but for magazines and online newspapers as well. WordPress news themes are very convenient to install and use, quick to set up, and rather cheap, considering all the features and benefits. Having a professional looking news delivery platform had never been easier. UrbanNews has a cocky feel to it that fits most of the current trends and the events that might be featured. It is laid on a grid that provides for many possibilities. Galleries, templates, icons, and widgets are all fully customizable. 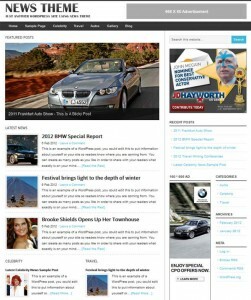 This very modern WordPress theme is a main contender in online news distribution. Aggregate is the premier Magazine-style theme out now. It has allocations for advertisement areas and widgets. This theme provides its users a rich and very interesting means of distributing news. Themes such as this are being favored not just because of the design that complements the content that you want to publish online, but also because this type of theme looks great in mobile platforms. If a layout is not responsive then it simply will not meet current standards. There will always be thirst for celebrity news, and WordPress is ready to respond to the popular demand with CelebrityPress. The layout of this theme is specific for the requirements of sassy and dynamic content. There is the option to look more like a blog or a magazine, whichever is currently trending more in the world of online news. There are two menu types to choose from, and enough customization options. 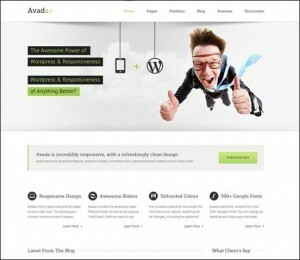 If you require a multi-purpose theme, then the very modern Avada is the one for you. It’s not just news that Avada delivers well, but it is also ideal for presenting your personal or business online portfolio. It is very responsive and flexible, and as responsive as you expect it to be. When it comes to responsiveness, Evolution is easily at the top tier. 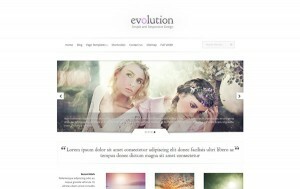 Evolution is actually the “first fully responsive” of WordPress themes. There are four layouts to choose from, and it works very well with mobile platforms. Evolution intuitively adapts the whole presentation to mobile devices. We predict that more and more will choose to evolve, pardon the pun. 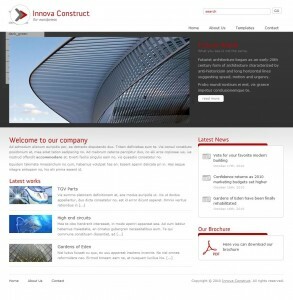 This theme will be a good choice for business, and even for very personal purposes. If the content is mainly editorial in nature, then Volt is the ideal choice of theme. Volt has a very flexible and readable layout. What about its flexibility feature? Well, this theme allows for very easy swapping of locations. If you are very particular with how the contents shown a screen should flow, then this feature will provide you with the necessary tools. Content is given ample space and advertisements are given adequate allocation, too. Volt will also prove handy in presenting news content, as well as business and personal portfolio. If you want your page to feature animation and have all the more basic necessities of a news page, then Construct should be on top of your short list. This theme is very professional looking featuring the ever dependable column layout. Using AJAX technology, you may upload content while on the move. It is SEO friendly as well. What more can you ask for? Swagger is exactly what you get when you employ this theme for your online news site. You’ll be walking around with an extra swagger in your step because you’re confident that there’s nothing else to be done for your online news page because the theme has all the basic requirements covered. When you are setting up the sidebars and widgets you’ll find out for yourself how versatile and flexible the options are. When it comes to news sites, it is all about content, right? But these days, content is enough, because style and responsiveness count as much. Modern News provides all these current necessities, and more. Modern News allows for a customized image to serve as your header. That’s a great way to introduce your site to the rest of the world. You can also customize your background image to suit the current news content. There are many options to choose from, guaranteeing constant transformation of your site to complement your dynamic, interesting, and relevant content. With news theme, there is no limit to what you can upload and post. The pages load in a jiffy. It is very convenient to set-up, customize, and populate with content, and all it really cares about is that your content gets published, read, and shared to as many people as possible, in the fastest possible time without sacrificing readability. That’s what news is all about. And News Theme does it best.